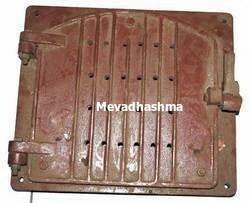 Mevadhashma offer various OEM boiler components to all types for major industries. 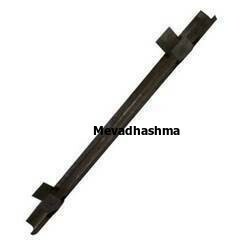 Our boiler components suitable for CFBC Boiler BHEL, Thermax, CVL, Veeson, etc boiler components. 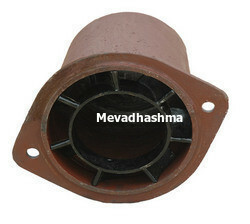 Mevadhashma introduce ourselves as one of the leading supplier of spares for Air preheaters like all APH replacement parts, basket elements both non Enamelled elements and Enamelled elements, Seals, Tbars, speed reducers etc. 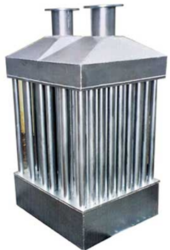 We can meet all your requirement for all types of APH baskets. 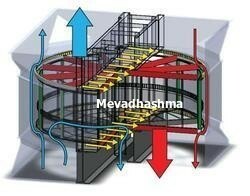 To know the rotation of the air heater from the hot side (gas side). The Radial Seal Assembly Drawing with dimensions. As soon as you can return this information for each requirement, we can prepare a budgetary quote. If you have a specific requirement, please send us your enquiry, mentioning complete description of the items required for Air Preheater. Backed by the rich industry experience and knowledge, we are offering an excellent range of Fire Bar Boiler. Our given range of product is manufactured in adherence with predefined guidelines & advance technology. We offered this product in different specifications to our customers. This product is valued in the industry owing to its high temperature resistance. Owing to our rich industry experience and knowledge, we are engaged in offering Air Nozzle - Boiler. Provided air nozzle is offered in different specifications as per the requirements of clientele. This air nozzle is developed with the help of competent workforce using high quality raw material and leading technology. Offered air nozzle is high on demand among our patrons due to its indispensable features. Assisted by a team of highly skilled professionals, we are engaged in manufacturing, exporting and supplying Boiler Bed Evaporator Coil Shield. This coil shield is manufactured using top quality raw material and latest technology keeping in mind the set norms of industry. The offered coil shield is well known among patrons for its flawless performance & long service life. We are giving this coil shield to our customers in varied specifications at market leading rates. 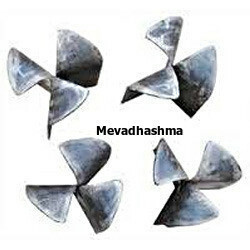 Mevadhashma offers Mdc Cone for major power plants with different types and as per customer requirements. To serve the requisite demands of customers, we are engaged in offering a qualitative range of Air Preheaters and Spares. The offered product is manufactured by using top grade raw material and the highly advanced technology. As well, our clients can avail this product from us in a set of specifications as per their needs. Our product is tested on various parameters so as to ensure its flawlessness. 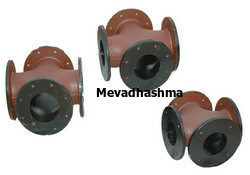 Mevadhashma offer mixing nozzle assemblies for coal fired burners. For our reputed clients, we bring forth an excellent range of Fuel Cross Boiler Component. The offered boiler component is manufactured by using top grade raw material and the highly advanced technology. As well, our clients can avail this boiler component from us in a set of specifications as per their needs. Our boiler component is tested on various parameters so as to ensure its flawlessness.